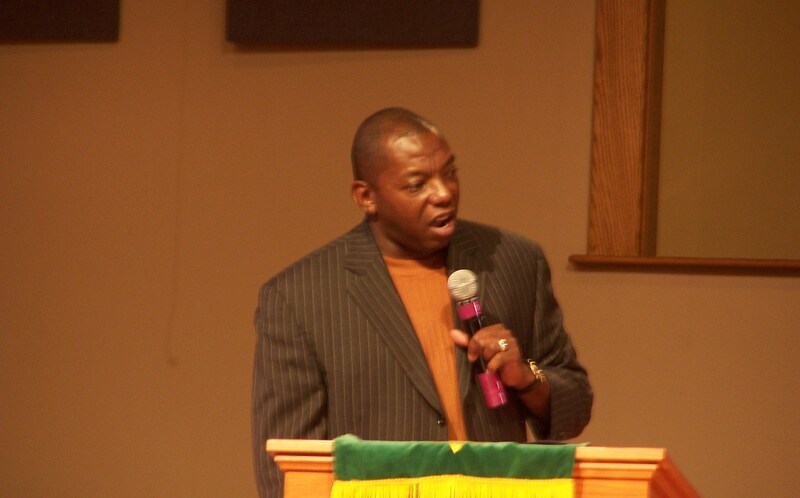 Pastor Darryl Jones affectionately known as "Pastor D" is a man radically transformed by the Lord Jesus Christ. He believes that the Kingdom Citizens of God are valuable and should be equipped and empowered in every area of life. He is gifted & graced with an awesome anointing to meet people wherever they are: rich, poor, young, seasoned, educated or uneducated, CEO or ex-felon, neighborhood or "The Hood". Pastor D is called to minister to people from all walks of life and especially to those who are not-yet Christ followers. Pastor D is graced with the unique ability from the Lord to reach multi-generational & cross-cultural. His voice and dynamic teachings are heard with power and clarity on Sunday afternoons at 1:30pm (ct) on Rejoice 102 (102.3fm and rejoice102.com), where he releases the "Word For Life" and is being positioned to be one of the next major servant leaders that GOD uses to Win a multitude of Souls and Make Disciples worldwide. His mission is to be used of God to serve the Kingdom of God into being the relevant Power-packed force in the community, and be the Word In Action that our world needs in these times. Pastor D is becoming one of the regions most intriguing Kingdom vessels. Relevant, Real, Radical, Revolutionary, Creative, Anointed, Wise and Loving are some of the words many times used to describe Pastor D. This Pillar of God has inspired tens, hundreds, and thousands and the world is on (pins and needles) anticipation, waiting to see what GOD does next through his life. He has a Bachelor's degree in Biblical Studies (Theology major) and will earn his Masters in Theology (Th.M) in December of 2016. Through loads of life lessons learned from Dr. R.A Vernon (Covering) "The Shepherds Connection" and Dr. S.A. Houghton, "Training For Reigning", Pastor D is becoming a revolutionary trailblazer and setting new trends. He challenges the notions of unbiblical tradition by focusing on biblical & cultural relevancy rather than the routine, and doing "There-Is-No-Box" kingdom ministry. He is paving the way for other leaders to breakout of the boundaries of conventional church into Kingdom Living through his solid, precise, and bold delivery of the Word of God & the willingness to talk about tough topics that are often left untouched. Pastor Darryl's largest accomplishment by far is doing life with his lovely wife Sharon and raising their children. Pastor D believes in a family first mentality. Understanding that his family is his first ministry, he is striving to be a man of uncompromising integrity. He is no doubt, Destined to Reign.